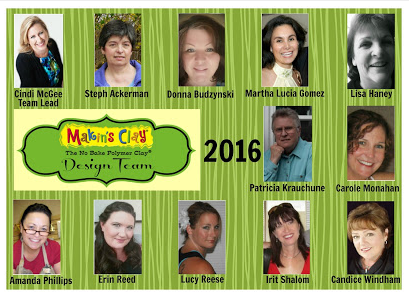 It is with great enthusiasm that we announce the 2016 Makin's Clay® Design Team members. We are excited to welcome back some familiar faces from the 2015 team, and are just as excited to welcome three new members. For more information about these design team members and their creative projects please feel free to visit our social media sites, (Blogger, Facebook, Twitter, Pinterest & YouTube).